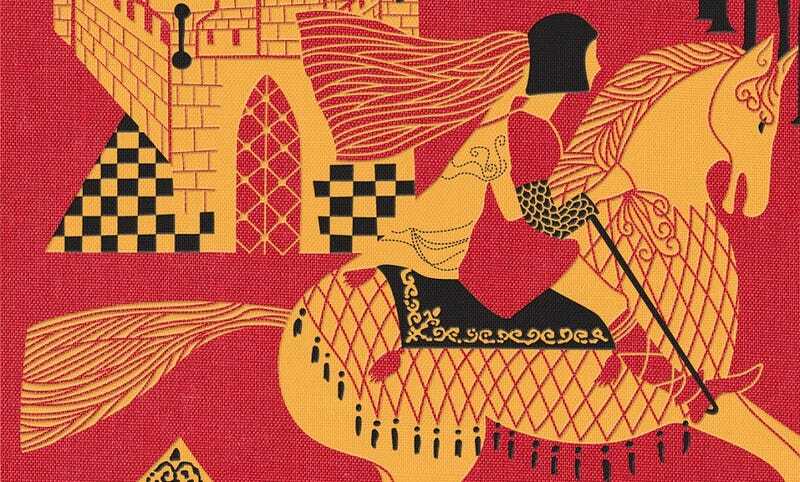 It's 50 years since Lloyd Alexander published the first book in his amazing Prydain Chronicles series — and to celebrate, the first book is getting an utterly beautiful new cover. We've got the exclusive reveal of this lovely artwork, plus an exclusive essay by the book's new editor, Noa Wheeler. If you were a kid any time in the last fifty years, and you were into fantasy, you probably read Lloyd Alexander's Prydain books, starting with The Book of Three. I certainly did—over and over and over again. But in 1964, there weren't any Chronicles of Prydain yet. The Book of Three, the first book, would come out that year. Alexander had written one book for children, Time Cat, and could not have known that he would go on to write more than thirty books for kids, and that his name would be forever listed in the annals of fantasy greats. When I started as an editorial assistant at Henry Holt Books for Young Readers in 2005, the thing I was most excited about (other than, you know, having a job) was that my Rolodex had Lloyd Alexander's phone number in it. (To be honest, I was fairly excited about the Rolodex, too.) Henry Holt is the original publisher of the Prydain Chronicles and several other Lloyd Alexander books, and I felt like I'd hit the prverbial jackpot. Although I never met Lloyd in person, we developed a friendship over the phone, and I got to know him as the warm, funny, deeply intelligent man he was. He loved James Joyce and cats and general silliness, and had a knack for putting whoever he was talking to in a good mood. Lloyd passed away in 2007, but he would have been so excited to see the 50th year of life for The Book of Three. At Henry Holt, we're celebrating by putting out a gorgeous anniversary edition of the novel—working on it is almost like talking to Lloyd again. For the new cover, we reimagined the original jacket image from the 1964 book. That illustration was done by Evaline Ness, a well-known children's book artist. (You may recognize her work from her Caldecott Medal-winning picture book Sam, Bangs & Moonshine, among many other books.) We hired an artist, M. S. Corley, to use Evaline Ness's original image for The Book of Three as a guide to create a two-color rendition, allowing us to stamp that art in gold foil and black foil on a red cloth case. The anniversary edition also has extras in it, including a new introduction by Newbery Honor-winning author Shannon Hale and a short story from Prydain. It's hard to believe that The Book of Three is fifty years old, as it feels timeless in a way that few books achieve. American fantasy for kids owes a great deal to Lloyd Alexander. His books continue to give—there's something new to be found in them with every reread. And where better to start a reread than at the beginning?